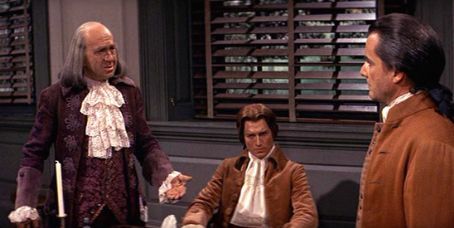 Tomorrow is July 4th, Independence Day here in the United States and it will be time to watch one of our favorite movies again — the musical entitled 1776. Originally a Broadway musical, the movie is quite good, too. The history isn’t too badly fiddled with — although I can’t imagine Adams, Franklin, Jefferson and Sherman dancing around singing loudly about who should write the Declaration of Independence and Mrs. Jefferson never made it to Philadelphia during that blazingly hot Summer. Still it gave me an entrance point into the history of our country and the men that founded it. If nothing else, the movie portrays them as men, not gods with their own trials, self-doubts and afflictions. John Adams knows that he is “obnoxious and disliked”, but his desire for independence outweighs his desire to be loved. He had seen the Crown’s injustices up close, living and working in Boston, and yet still believed in justice enough to defend the soldiers accused in the “Boston Massacre” when no one else would. The other striking lesson is how close the Continental Congress came to preventing the American Civil War 90 years later. The original Declaration had language banning slavery, even though Jefferson himself was a conflicted and confused slave owner at the time. Several southern states representatives demanded that that language be removed or they would forever bury the question for Independence from England. The language was removed and the die was cast for Fort Sumter, Bull Run and Appomattox Courthouse. 1776 led us to make sure to visit the birthplaces, homes and crypts of John and Abigail and their son John Quincy and his wife, Louisa. I have laid my hands on their crypts and wondered what drove them to accomplish all they did. After our return home from that trip, I read John’s diaries and Rosanne read the letters between John and Abigail. We then shared our favorite parts back and forth as we read. I remembered standing in their original farmhouse and imagined young John Quincy running about, then moving next door to his parents to start his own family. We visited The Old Manse where John, Abigail and a host of other famous (in infamous) Adams’ lived out their heritage. I stood where John suffered his fatal heart attack and stood in the bedroom where he died. It is hard to imagine such scenes so many years after they occurred, but on that trip we both felt we got to know the Adams’ — and their impact on America — just a little bit better. If you have a chance this weekend, find a copy of 1776 (hopefully the newer Director’s Cut and not the horrible pan and scan version from the 1980’s) and immerse yourself in the history of your country. You will find that the Founding Fathers were just as flawed as any man is today, but they still accomplished some very great things. It’s Summer Vacation and time to catch up on some of the shows and movies we have been meaning to see. Life during the school year can be quite busy with both a college professor and a high school student in the house, so it is nice to settle in for an hour or more over dinner and enjoy a movie all together as a family. Poking around Netflix some more, I came across this interesting French steampunk/fantasy film based on a comic book series from the 1970’s. I tend to enjoy foreign films and the fantasy genre of this movie is also one of my delights. This is a high-budget production with excellent locations and special effects, but it also retains the feeling of being a comic book. Makeup, costumes and locations are modified to bring a feeling of the comic into the real world. Most Americans will find the movie has a rather quirky sense of humor, but I expect this from French films in general and it is also something that helps the film stand apart from traditional American action-adventure-fantasy films. It make the film feel different while still remaining fun and interesting. 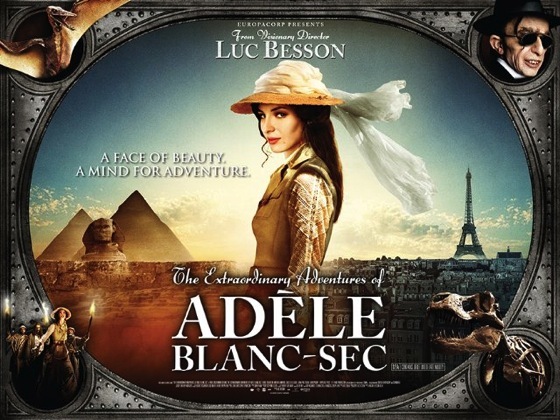 I couldn’t help to compare this movie to the recent TinTin adventure and I think that Adele Blanc-Sec actually comes out on top. the animation style of TinTin, along with its non-stop action sequences prevented me from connecting with the movie where in Adele Blanc-Sec the action was well-balanced and the life actors, although looking like comics, seemed more approachable than their animated TinTin counterparts. I prefer subtitles when watching films like this, as I like to hear the voices of the native actors, even if I don’t understand them entirely. There is much to be gained from hearing the intonation and emotion in the voices. I also find that after a few minutes watching, I am “hearing” the subtitles in the actors voices. Of course, a subtitled film does mean you have to sit and watch the film and not try to do something else at the same time — much like a silent film. I can highly recommend the Extraordinary Adventures of Adele Blanc-Sec if you are looking for a fun, quirky romp to your summer evening. You can find it on Netflix, rent it via Amazon Instant Video or purchase the DVD. 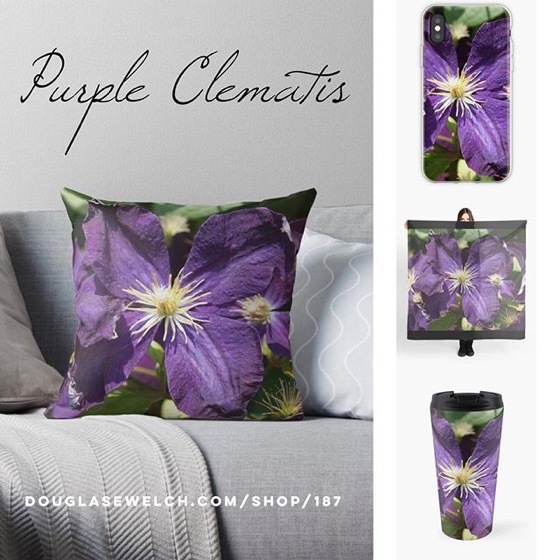 * A small portion of each Amazon sale goes directly to support My Word and other WelchWrite blogs. As is typical, Joseph saw Frozen a while ago with his Nana. They often go to movies together when he visits every 2 weeks or so. Of course, this means that Rosanne and I often miss seeing some movies we might like. Joseph spoke so well about Frozen, so I waned to make sure we got a chance to see it. I noticed it had been released on DVD recently and this usually means it is also available for online rental. We had some time at home today as a family, so we rented Frozen through Amazon Instant Video and watched it on the big screen TV. It is very good. 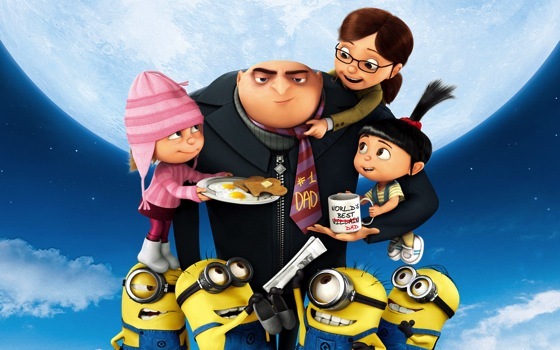 The story, music and animation all blend very well and create an enjoyable whole. I’m guessing we will probably watch it at least one more time during our rental period to catch whatever story and jokes we might have missed the first time. 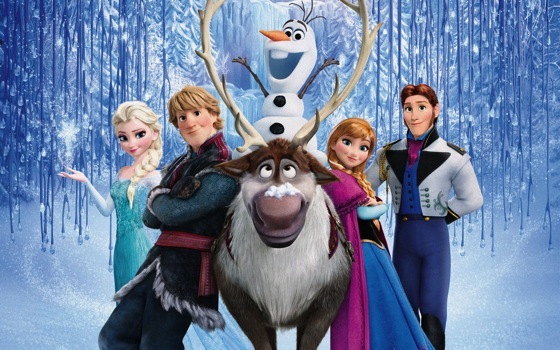 In “Frozen,” fearless optimist Anna teams up with rugged mountain man Kristoff and his loyal reindeer Sven in an epic journey. 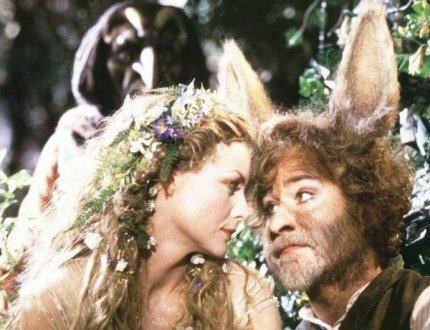 The high school year has only just started, but the Fall play has been chosen…A Midsummer Nights Dream. We have seen this play with our son before, most recently by the Independent Shakespeare Company in 2012, but we figured a quick refresher on the characters and story were in order before auditions this week. This version, which an all-star cast is quite enjoyable. Set in Italy, in the late 1800’s, it allows for gorgeous scenery for both the real world and the fairy world. The acting is excellent, especially Kevin Kline as bottom. Of course, you will see many other actors you know, including a young Christian Bale (long before his turn as Batman), Calista Flockheart from Ally McBeal, Rupert Evert, Michelle Pfeiffer and more. Overall, this is an enjoyable way to spend an evening with a old, old friend. I enjoyed the movie greatly. The animation was first rate and quite amazing. I lost myself in the story since the animation was so well done, cartoon-like, yes, but very realistic as well. It never intruded. The story is also top notch. There are some quite chuckles, a few outright belly laughs, but also quite touching. It held together well and came to a very satisfying end. Check it out if you haven’t seen it. Tonight’s movie was TinTin, directed by Stephen Spielberg, produced with Peter Jackson and written by current Doctor Who producer, Steven Moffat. I was interested in the movie for a variety of reasons. There is the style of animation, which I can only describe as comic realism, the writer, director and producer involved and the fact that it looked like a fun romp. It was indeed that, although the ending was a bit unsatisfying, setting up for a possible sequel more than truly ending the film. TinTin, and his creator, Hergé are much more well known in Europe, where they are a cultural phenomenon in most countries. There is an excellent documentary called “TinTin and I” that explores the history and impact of TinTin, too, if you can locate it to watch. “The Adventures of Tintin (French: Les Aventures de Tintin) is a series of comic albums created by Belgian cartoonist Georges Remi (1907–1983), who wrote under the pen name of Hergé. The series is one of the most popular European comics of the 20th century, with translations published in more than 50 languages and sales of more than 200 million copies as of 2003. The series first appeared in French on 10 January 1929 in Le Petit Vingtième, a children’s supplement to the Belgian newspaper Le XXe Siècle. The success of the series saw the serialised strips published in Belgium’s leading newspaper Le Soir and spun into a successful Tintin magazine. In 1950, Hergé created Studios Hergé, which produced the canonical series of twenty-four Tintin albums. 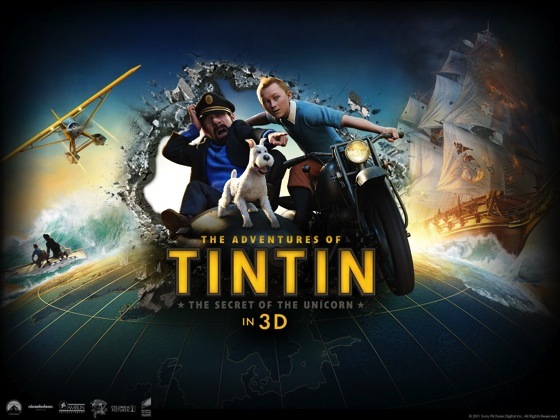 The Adventures of Tintin have been adapted for radio, television, theatre, and film. Tonight’s showing is Chronicles of Narnia: Voyage Of The Dawn Treader . 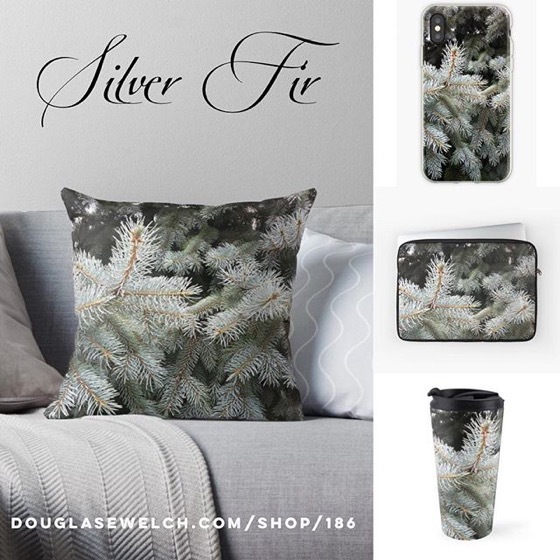 We are big fans of the Narnia books and have enjoyed all the movies, so this was an easy choice to make. Now that we have a large HDTV and a combination BluRay DVD player and SmartTV device, it is incredibly easy to rent movies from Amazon.com and a variety of other sources. This convenience make it easy to chose a movie on the spur of the moment, something that helps insure we actually set aside some time for entertainment in our busy days. “The Chronicles of Narnia is a series of seven high fantasy novels by C. S. Lewis. It is considered a classic of children’s literature and is the author’s best-known work, having sold over 100 million copies in 47 languages. Written by Lewis between 1949 and 1954, illustrated by Pauline Baynes and originally published in London between October 1950 and March 1956, The Chronicles of Narnia has been adapted several times, complete or in part, for radio, television, the stage, and film.